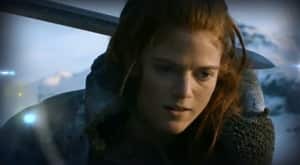 The character Rose Leslie plays on 'Game of Thrones' is a feisty redhead said to be "kissed by fire." 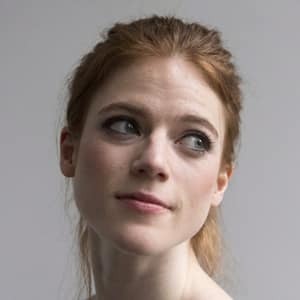 And that describes the real Rose Leslie pretty accurately too - she has a spark and a drive about her that truly lights up the screen when you watch her. 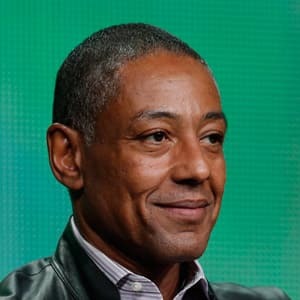 Rose only graduated from acting school a few years ago. And in those few short years, she's landed on two of the biggest - and most different - TV shows on the air today: 'Game of Thrones', where she plays Ygritte the "wildling," and 'Downton Abbey', where she played Gwen Dawson, a young woman who yearns for a life and an identity beyond her role as housemaid. Rose grew up in Aberdeen, Scotland - she actually spent part of her childhood living in a castle - and soon moved to London to pursue acting. She's always been attracted to roles that let her explore strong-willed, powerful female characters...and at only 26, she's got tons of amazing stories ahead.